ACTIVISM. On Saturday 11 August, activists from the Nordic Resistance Movement’s Nest 1 visited Alternative for Sweden’s (AfS) public rally in central Stockholm to spread the National Socialist message. The rally took place on Sergel’s Square, where a crowd of nationalists gathered to listen to speeches by AfS leader Gustav Kasselstrand, Jeff Ahl and others. During the event the Nordic Resistance Movement activists gave out leaflets and ballot papers, which were very well received by the attendees. A large number of people came over to the Resistance men with smiles on their faces and commended them for their efforts. The attendees and activists discussed a range of topics, including repatriation and how it would be put into practice, as well as how the state’s tools of oppression, such as the police, actively work against the nationalist movement. 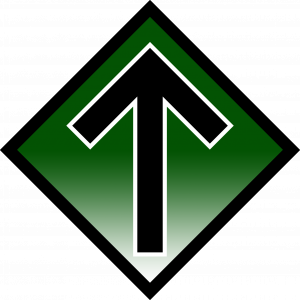 The Nordic Resistance Movement activists were also sure to make those present aware that AfS are not the only – nor the first – party to have a policy of repatriation. The rally itself went calmly. A group of “anti-fascists” were on the square, but as usual they stood at a distance and screamed their stock catchphrases, such as the monotonous “Crush Nazism!” Unsurprisingly the group’s collection of young girls and effeminate “men” didn’t put these words into action despite having the opportunity to move closer to the nationalists. Instead they did as they always do – remained at a distance, behind the police. When the rally was over, the activists headed to the tube station. On the way they passed the counter-demonstrators, who, upon recognising them, flew into a rage and started hurling verbal abuse. One hapless individual stood in front of the activists in an attempt to provoke them, but this only resulted in his being swiftly dealt with by an activist and then a policeman (photo below). 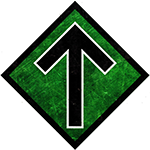 Overall, the activity was very successful, with many nationalist-minded folk warmly accepting the Nordic Resistance Movement’s election leaflets.